Transitional seasons leave a lot of guesswork when choosing the right thing to wear. 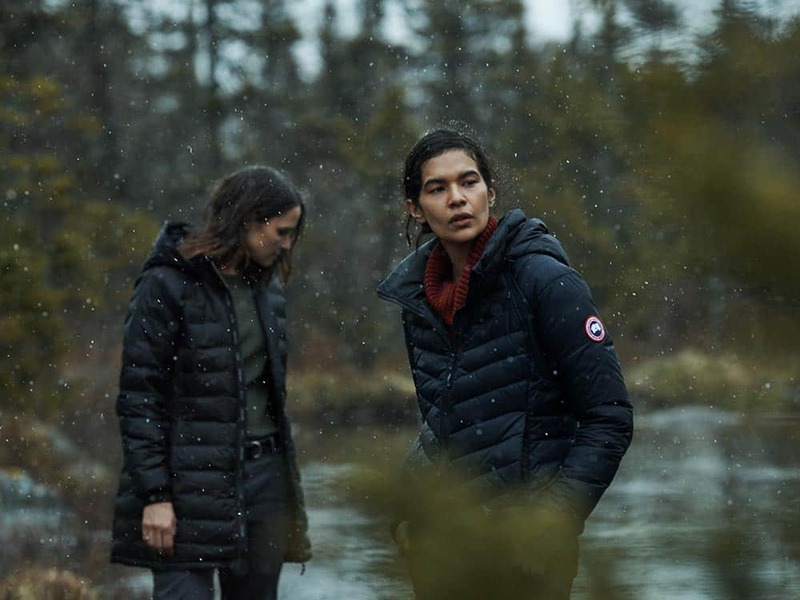 For autumn’s unpredictability, Canada Goose had created an extensive new line of lightweight down jacket, striking a balance between style and warmth for your seasonal urban activities. 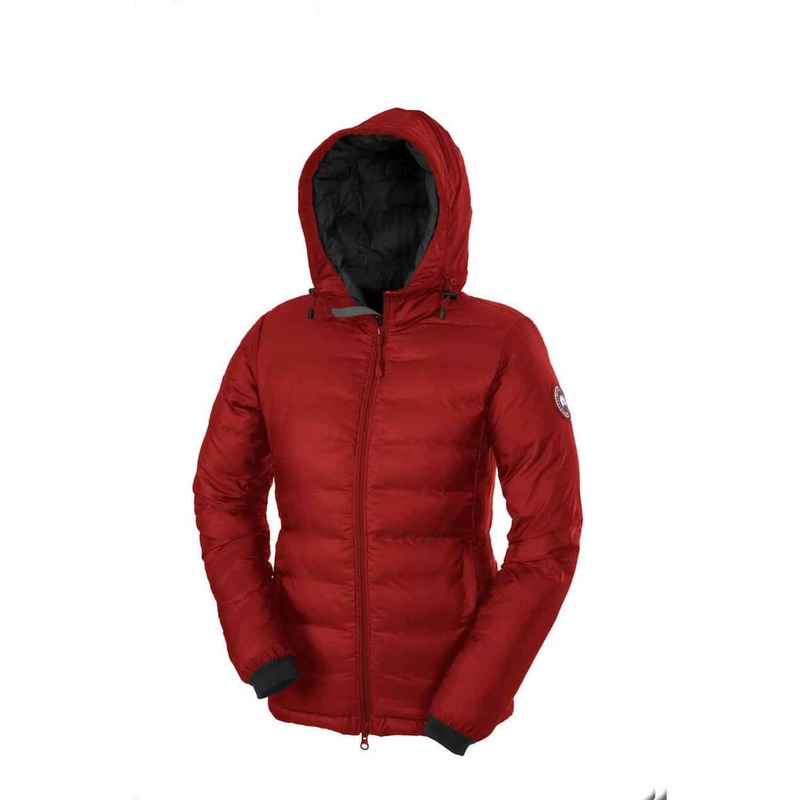 To help you make the right choice among their different models, here are our top picks for both men’s and women’s jackets. 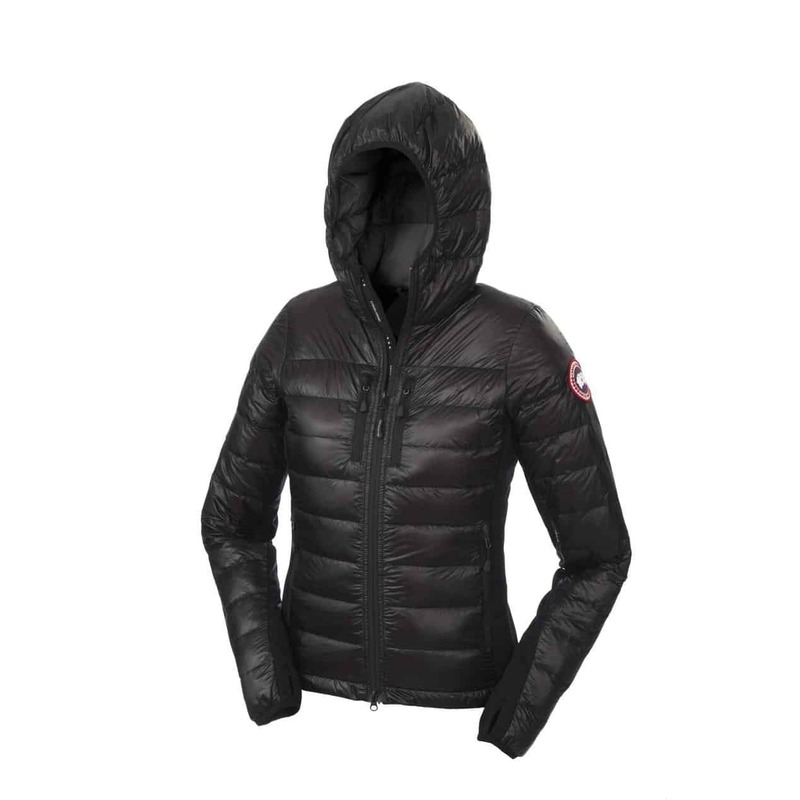 With a ‘2’ Thermal Index Rating and 750 fill-power down insulation, the Camp Down Hoody by Canada Goose is made for women on cool-weather urban sorties. 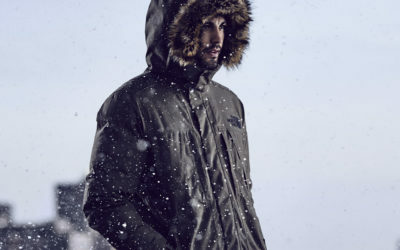 the versatile hoody is light enough for winter activities like skating or snowshoeing. Reduced bulk and weight mean its packable into the interior pocket and is easy to bring along with you. 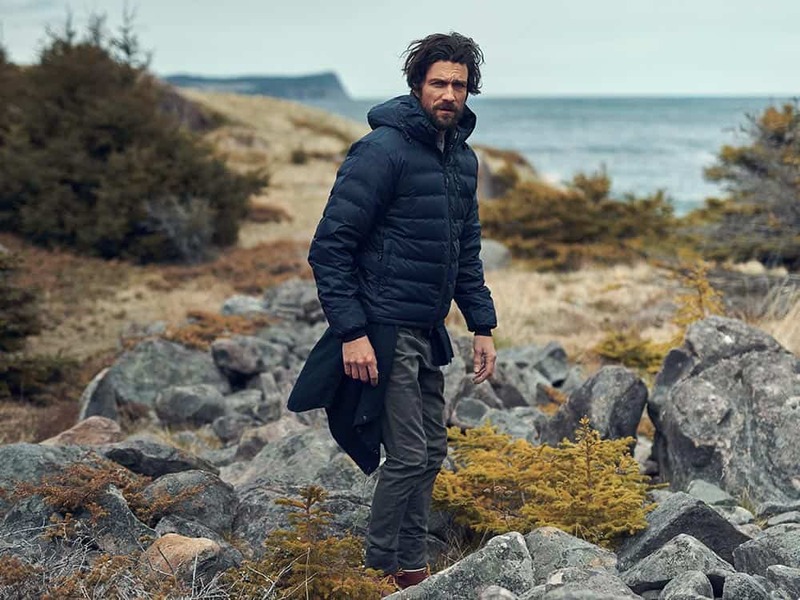 If you’re in the market for lightweight, comfortable elegance with heat retention and wind protection, the Camp Down hoody checks all the boxes. 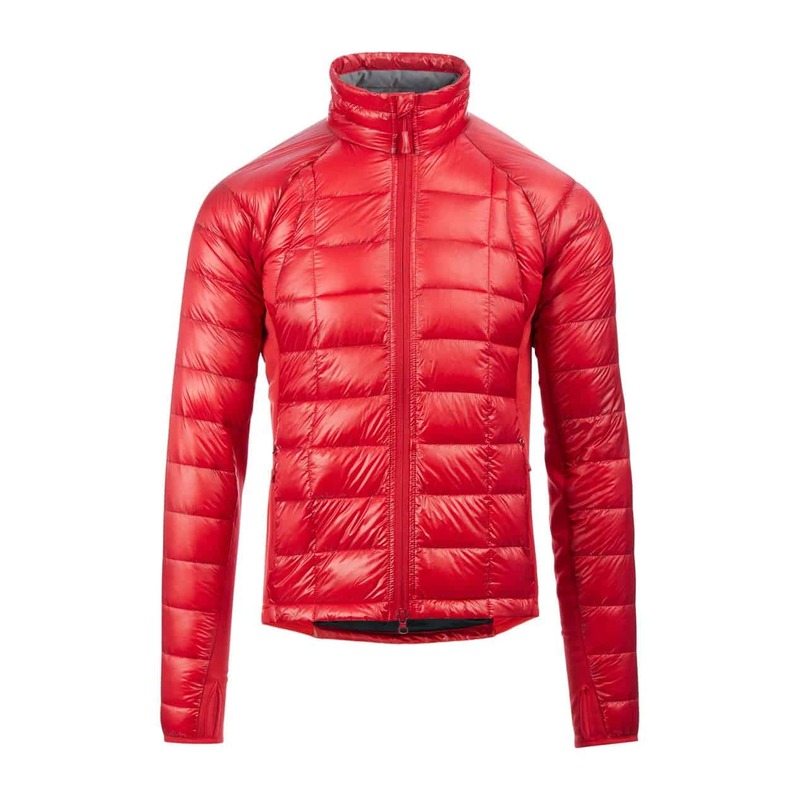 No wonder it’s the most popular jacket in the category. 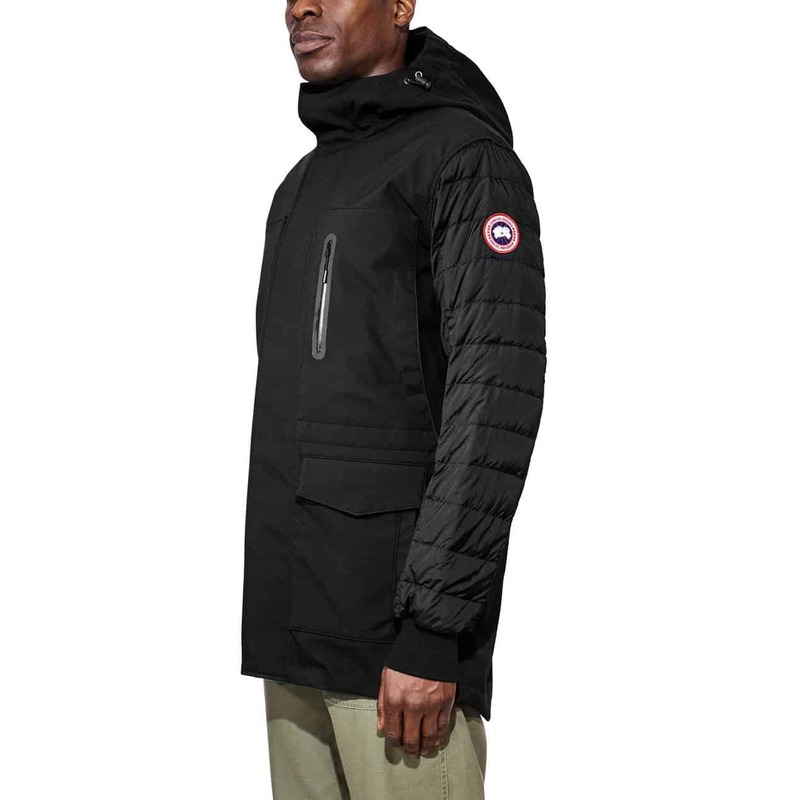 Aviators are definitely in, making the Canada Goose Dore Hoody hard to resist. 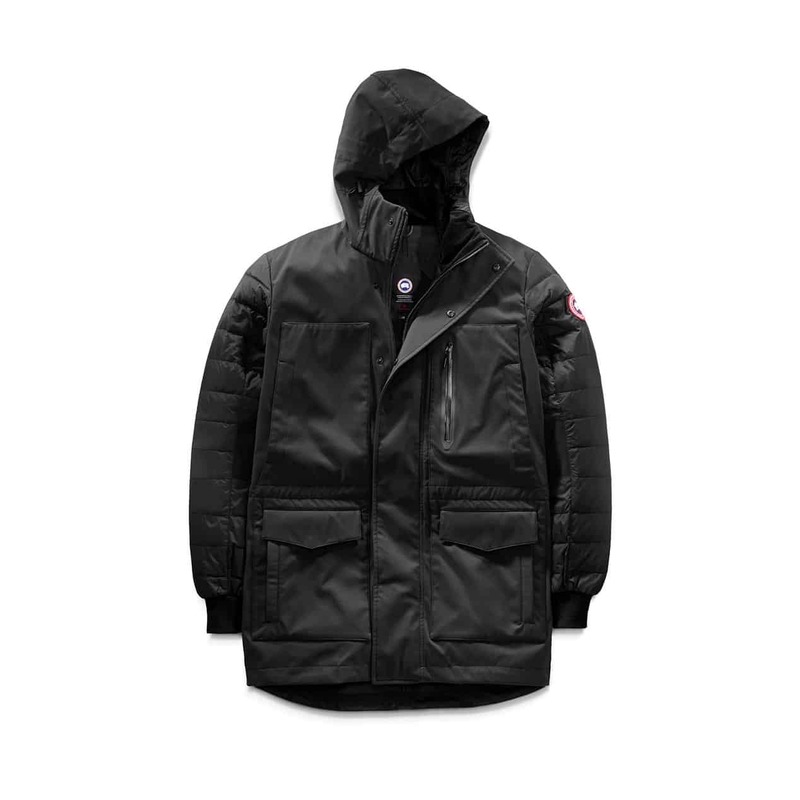 Contemporarily elegant, it’s also distinguished through several technical elements: an insulated hood, extended ribbed cuffs with thumb loops, zip hand pockets, and more. 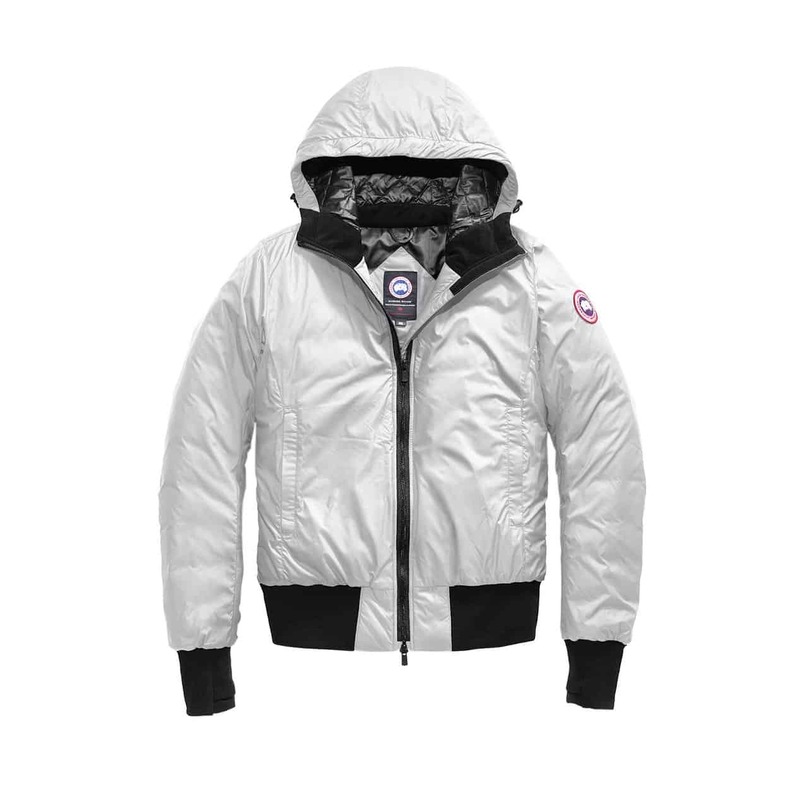 675 fill-power white goose down insulated, with Feather-Light woven water-resistant shell treatment, the hoody is comfortable, warm and resists the elements. 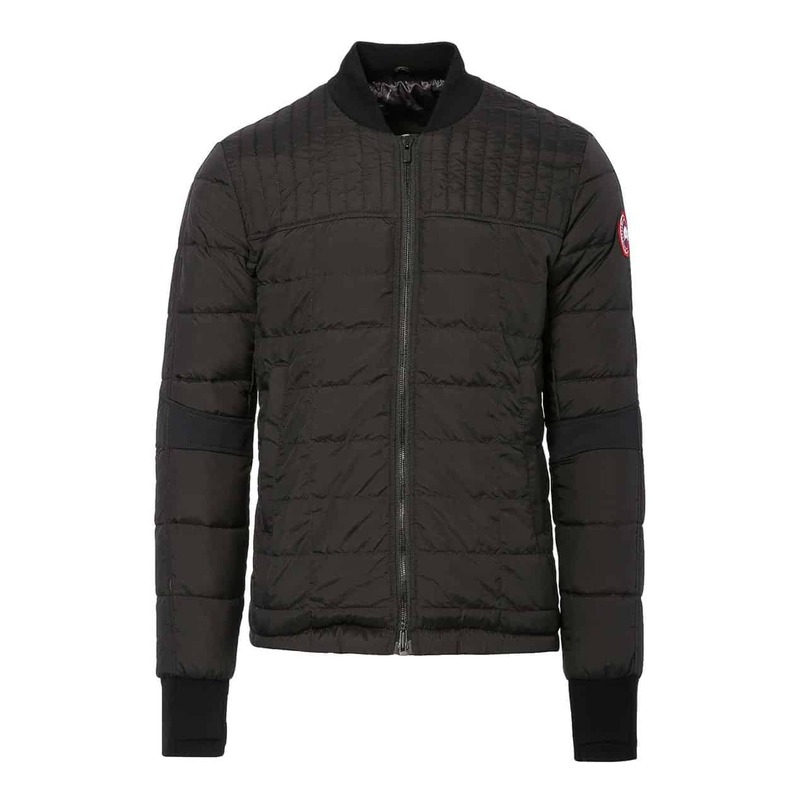 No doubt this bomber will be an important piece in your autumn wardrobe. 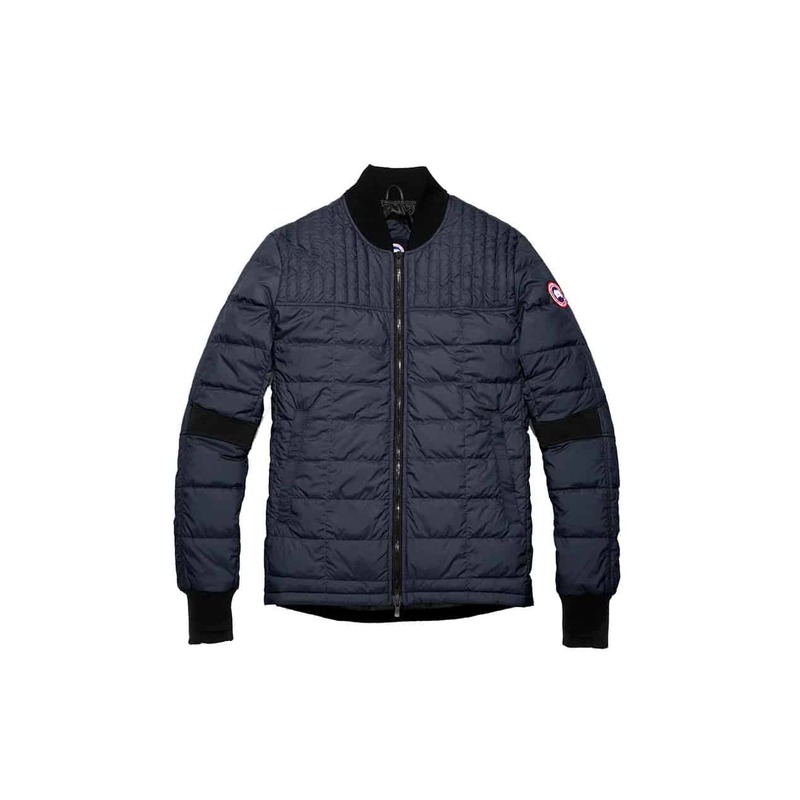 The Hybridge Lite Jacket by Canada Goose is a top option for those looking for elegance and performance in their outerwear. The beauty of the Hybridge lies in it’s versatility. 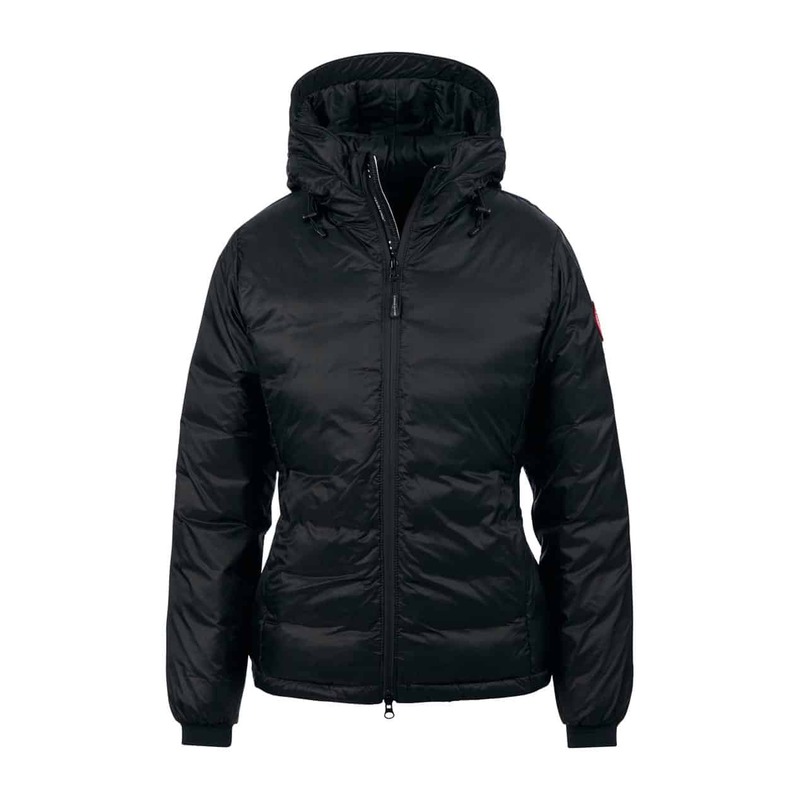 Alone or as a mid-layer, you’ll be comfortable and more than warm enough though 800 fill power goose down insulation. 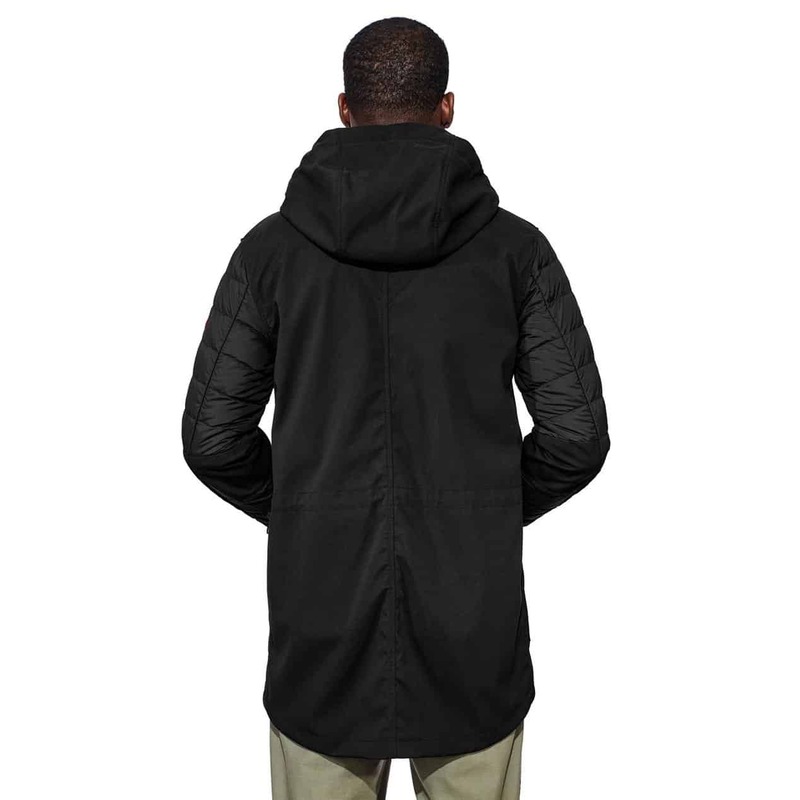 Tensile Tech hardface stretch fleece side panels mean more movement capability. Eminently packable, the lightweight compact design means simple storage into the pocket. If women’s fashion trends toward aviator jackets, men’s fashion is far from lagging. 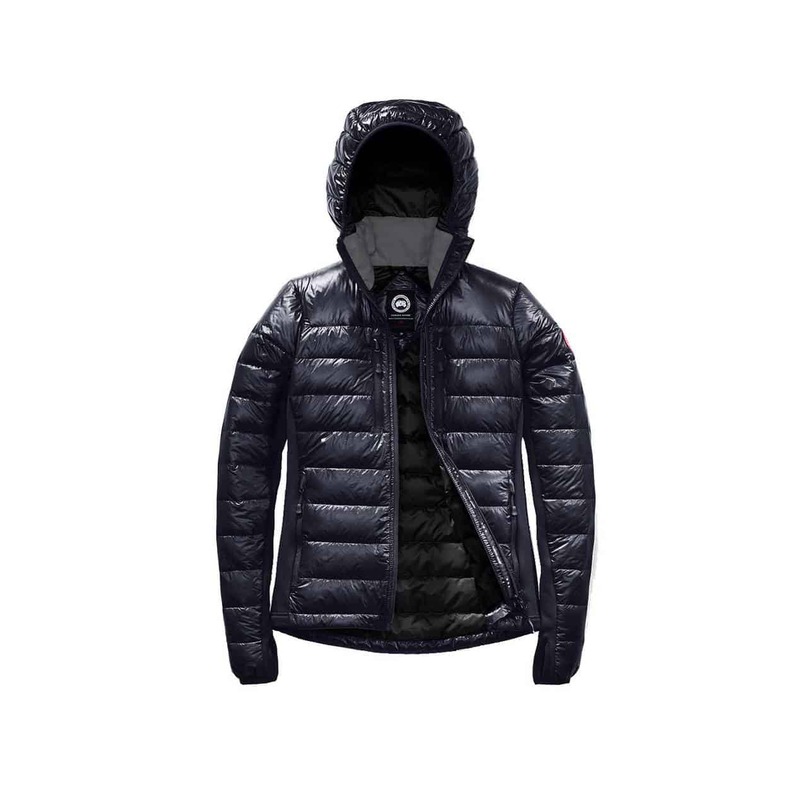 The Canada Goose Dunham Jacket is the most popular light down jacket for men – unsurprising considering its fine tailoring and technical efficiency. As warm as it is light, the Dunham comes with 675 fill power down insulation and three-layer stretch fabric at the elbows for increased range of motion. It’s great as a standalone or under a waterproof shell as a mid-layer. 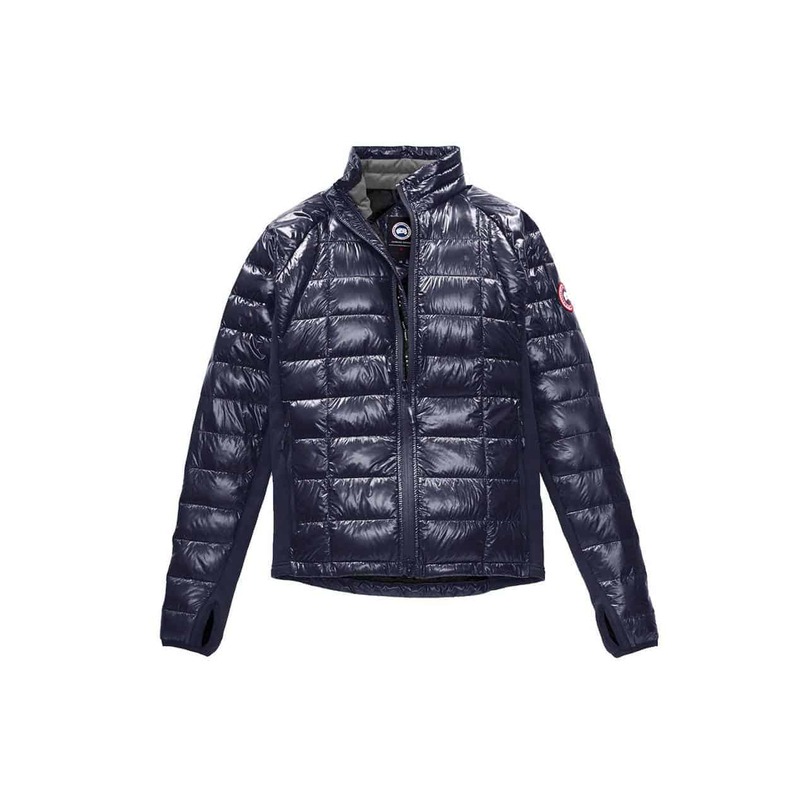 The Selwyn Coat by Canada Goose marries technical innovation and urban styling. 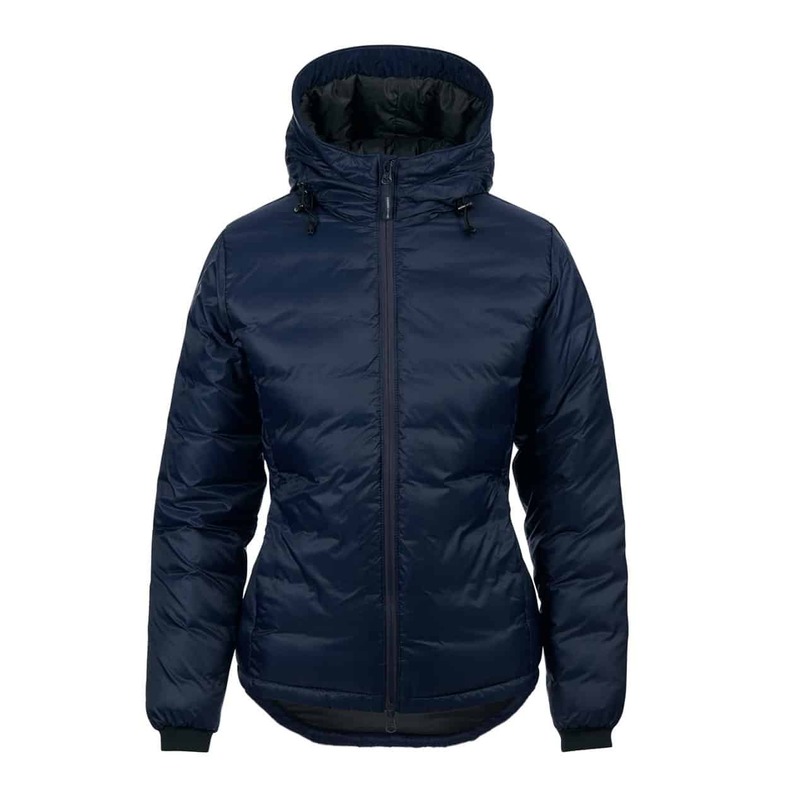 A hybrid combining down warmth and a softshell, it’s a go-to in foul weather with three-layered weather-resistant fabric keeping you warm and dry in rain and wind. 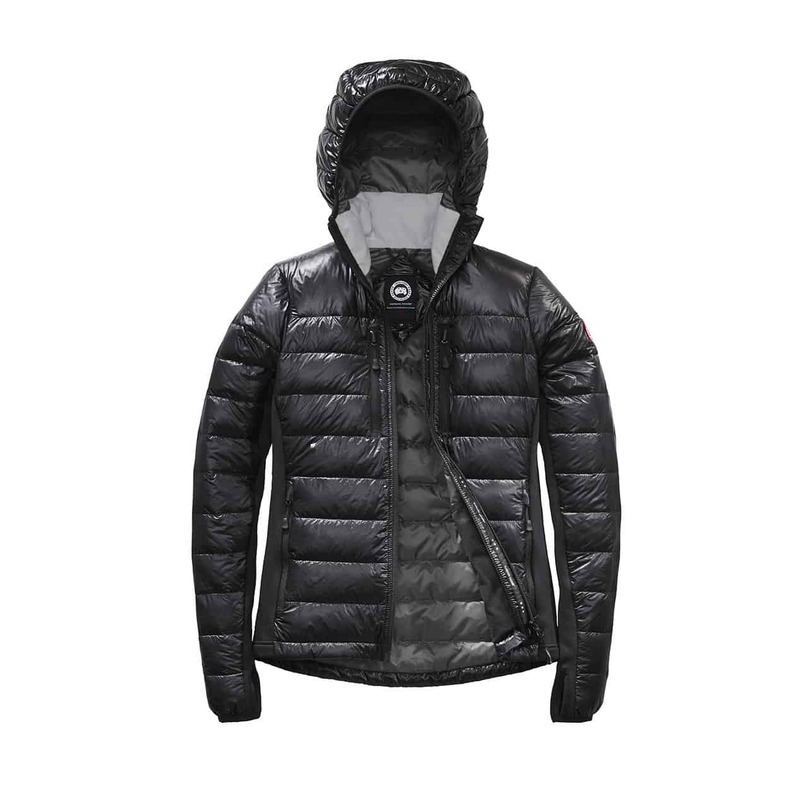 675 fill power goose down insulation is powerfully warm. 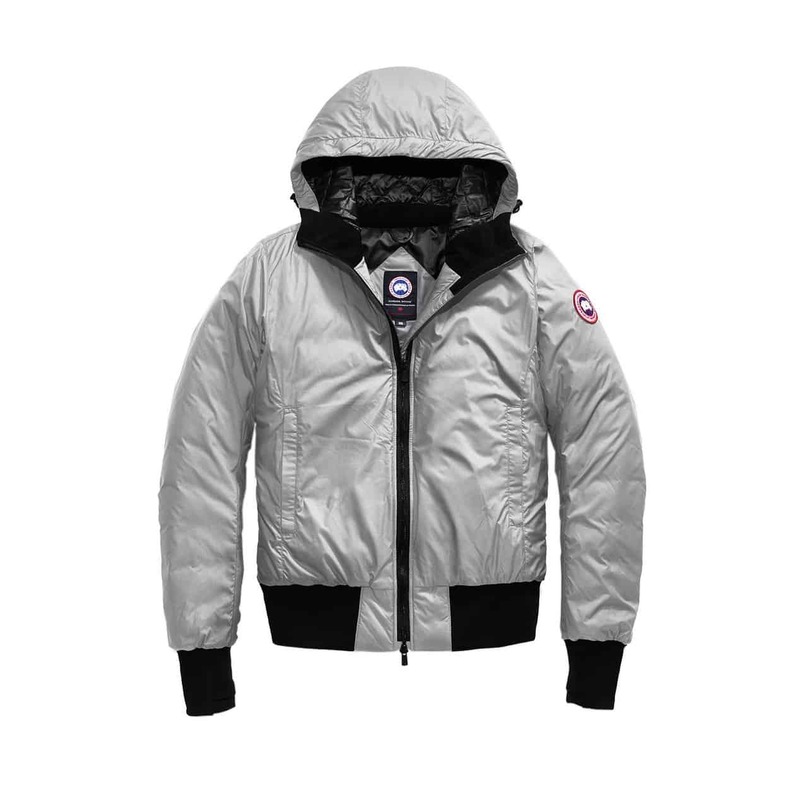 Even the hood’s reinforced brim means added weather protection. Take the Selwyn along on weekends by the sea or urban-based adventures.